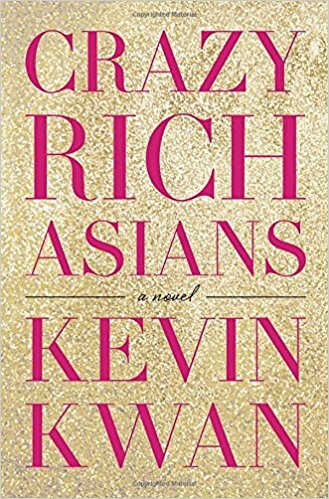 From first hearing about Crazy Rich Asians, our new CTBC pick, I had to read it. And, starting off at #379 on our local library reserve list did not stop me. Plus, after reading the reviews, I thought it would be a fun pick for Cook the Books Club, which I am hosting this round. The action is set mainly in foreign climes, South East Asia, in the present time, but with a particularly alien culture of people. Living in Hawaii, as I do, and with the presence of a large Asian population, this book was doubly intriguing. First, because I haven't come across any of these crazy rich people, despite having also visited Hong Kong and Malaysia and Singapore. They don't frequent the same places and are not like you or I, apparently. Of course, I was also curious to see what their eating habits would be like, with money no object. The book does have plenty of outrageous, sometimes strange people eating interesting and delicious sounding food. So there's lots to get inspired by. 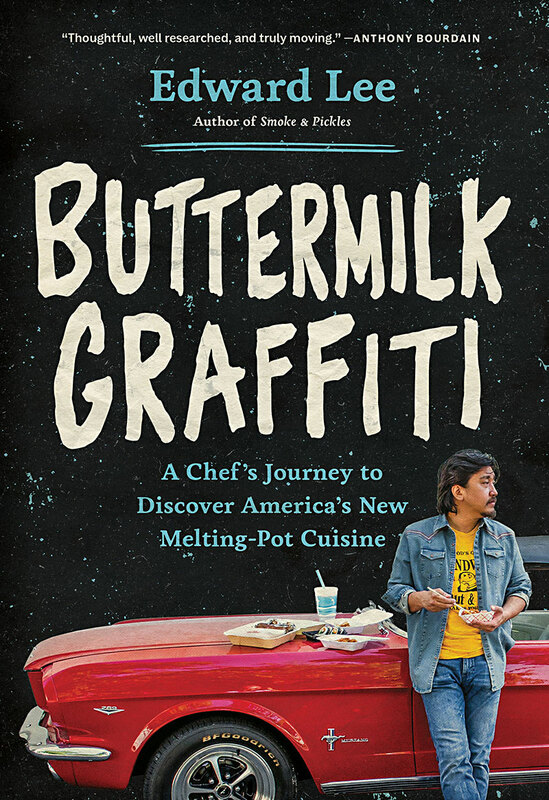 I truly enjoyed reading this novel, especially Kwan's sarcasm and humor, as well as for the up close glimpse of an alternative life style and tantalizing food. Like reading about people on Mars. 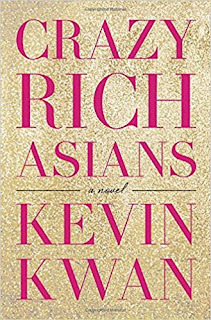 "Kwan's debut novel is a fun, over-the-top romp through the unbelievable world of the Asian jet set, where anything from this season is already passe and one's pedigree is everything. When Rachel Chu's boyfriend, Nick Young, invites her home to Singapore for the summer, she doesn't realize how much gossip she's generated among Asian socialites around the world. To Rachel, Nick is a sweet, intelligent history professor-and the first man she's imagined marrying. To the Asian billionaire set, he's the gorgeous heir apparent to one of China's most "staggeringly rich" and well-established families who virtually control the country's commerce with their ancient fortunes. As soon as she steps off the plane, Rachel is ushered into the opulent world of castle-like estates and mind-boggling luxury. As if the shock of realizing the scale of Nick's wealth is not enough, she must also contend with a troupe of cruel socialites who would absolutely die before they let Singapore's most eligible bachelor get snapped up by a no-name "ABC" (American-born Chinese). A witty tongue-in-cheek frolic about what it means to be from really old money and what it's like to be crazy rich." For double the fun, if you'd like to participate, we are doing another tag team event, a movie tie-in with Food N' Flix, hosted by Debra of Eliot's Eats. Their deadline is February 28th for the film reviews and food inspiration. For information on how to join in, hop over to the Food N' Flix link. The sky is the limit where the food is concerned here. Singapore street food, gourmet Chinese restaurant cuisine in Hong Kong. or Peranakan Straits fusion. Our deadline for submissions to the reading round at Cook the Books Club is Sunday, March 31st. Please drop a note in the comments section here with your link when complete, or email me, claudiariley@yahoo.com, so no one gets left out. Enjoy your reading! And Happy Chinese New Year! or xīn nián kuài lè! We got it! And you're definitely the first. I'm glad you enjoyed the book. Emailing you! Thanks for hosting. I would have thrown this book across the room if I didn't value my kindle. Hated it and couldn't finish it. Thanks for hosting this - it was great fun! Claudia, please use my combined post for the CTB roundup. The cocktail went better with the novel anyway.